As you can see the terminology that most people prefer in regards to mental health is ‘Mental Health Conditions’ with mental health ‘problems’ and ‘disorders’ coming joint bottom with 19%. I was not expecting ‘Mental Health Issues’ to come in second place, instead, I predicted ‘disorders’ would be nearer to the top. The results were not the only interesting part of this poll, but also the comments that some people kindly left for me, elaborating on their choice. I think this is a very good way to look at it. It is true that it is important that people understand that mental health conditions can be treated and that they are not a ‘problem’ or a ‘quirk’. This is very true… though as I mentioned earlier this is something I have never thought of as I am used to people referring to my mental health as being a ‘mental health problem’, I personally do not find this offensive, though I understand completely, why others would not like using such terms. There are better, more positive ways of discussing mental health conditions. And it is correct to say that they are not a problem, the individual is not a problem, they are sick and there are treatments out there for them. The word ‘problem’ does have a lot of negative connotations and therefore it can be seen as harsh when describing a person and their health. I have to say I do use all of these terms at some point too. And I completely forgot to add ‘Mental Health Illness’ to the list too! I would have to say that I use the term ‘illness’ less than I use ‘condition’ or ‘disorder’, but I may start to use this more in the future as that is exactly what mental health conditions are; they are illnesses! It was interesting to see how people use various terms for various reasons, although ‘problems’ was definitely the least favourite. After hosting this poll I decided to do some extra reading and research on this topic! As not only are the terms used to describe mental health very different, but so are the phrases used when talking about specific illnesses. Some of which can be rather damaging to the individuals who are living with a mental disorder. Terms such as these imply that the individual is in pain, unhappy and unwell. 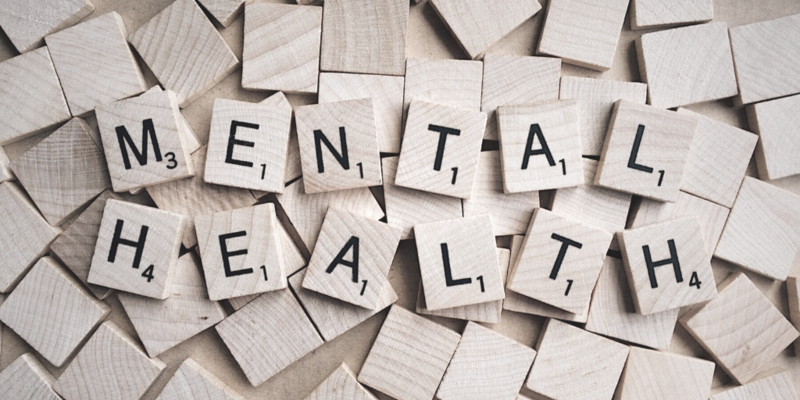 This is not always the case as people with mental health conditions are still able to live a fulfilling and healthy life with the help of various treatments and support. We would not say that someone is ‘suffering from diabetes’, instead we would say that they are ‘living with diabetes’ or that they ‘have diabetes’ so why should we construct mental health conditions to be more negative than other illnesses? When talking about someone’s mental health, try using terms such as ‘living with a mental health condition’, ‘experiencing a mental health condition’ or ‘person with a mental health condition’. These are a lot more positive and puts the person first rather than their illness; this is known as ‘person first language’. Describing a person who has schizophrenia or psychosis in this way can be very damaging. Again, this is putting their illness before them as a person, when in reality there is a lot more to an individual that their illness. Instead, use first person language and say terms such as ‘person living with schizophrenia’, ‘person experiencing psychosis, disorientation or hallucination’. It is not fair to label individuals by their mental health condition. Saying that someone is not showing ‘normal’ behaviour implies that they are abnormal, strange or weird, this is a very negative term to use in regards to mental health. Instead, you should use the terms ‘typical behaviour’ or ‘usual behaviour’. At the end of the day, who decides what ‘normal’ is? The individual is still a ‘normal’ human being, they are just having different experiences to others and therefore they are bound to act in various ways. This does not mean that they are not normal. They are still human, the same as any other. This is a term that we say often in the media when someone takes their own life. It makes it sound as though the individual has committed a crime. instead, we should use terms such as ‘death by suicide’ or ‘lost to suicide’, even saying that the individual ‘lost their fight with their mental health condition’ is better than saying they ‘committed suicide’. It is important to be careful what words and phrases you use when talking about mental health conditions as our word choices contribute greatly towards social stigmas and in turn can marginalise individuals of all backgrounds, living with various conditions, illnesses and disabilities. This can decrease the likelihood of the individuals seeking the help and support that they need and deserve. Theresa Avila from GirlBoss wrote an article about swapping certain words out for others to end the stigma surrounding mental health conditions. Some of her research found that in a 2007 survey, 400 teenagers were asked to list some words and phrases that they associate with mental health. Out of the 250 words given, almost half fell under the category of ‘popular derogatory words’ with the next group of terms being ‘negative emotional state’. This shows just how negative the terminology around mental health can be, with many people not realising how their words of choice can impact on others. Words such as ‘insane’ and ‘mental’ can be seen as offensive terminology that conjure up images of a bygone era when we had insane asylums and people were forcefully institutionalised as a result of having a mental illness. Since 1955 the number of psychiatric hospitals has decreased to less than a tenth of what we had. This was as a result of new laws in regards to healthcare and the documentation of abuse towards patients. Although psychiatric hospitals still exist in small numbers, the treatment of patients is very different, more humane and caring. It is true that more and more words and phrases are becoming politically incorrect however I personally feel as though the context they are being used in is important. If you are referring to a person with a mental illness as being a ‘crazy’, then yes, of course, that is offensive and should not be said. But if you have just witnessed a group of shooting stars and said ‘woah! That was crazy!’ then the word may not be seen as offensive at all. I would love to know what your thoughts are about this one, so please leave your comments below or head over to our twitter page and share your thoughts there! Words and their meanings change over time, however, they still have their negative connotations attached to them and some people may still find them offensive and that is understandable. It is important that we are careful with the words that we choose, especially when it comes to the media as this has a very powerful outreach. A lot of people rely on the media as their source of news. So it is important that we write with empathy and compassion and help people to get a better understanding of mental health. I have to admit, I have made errors in my writing in regards to terminology. Errors that I never really thought about until now. However, I will be aiming to use better words and phrases in regards to mental health when writing blog posts in the future. A huge thank you to everyone who contributed to this post via Twitter and other social media platforms it is very much appreciated.